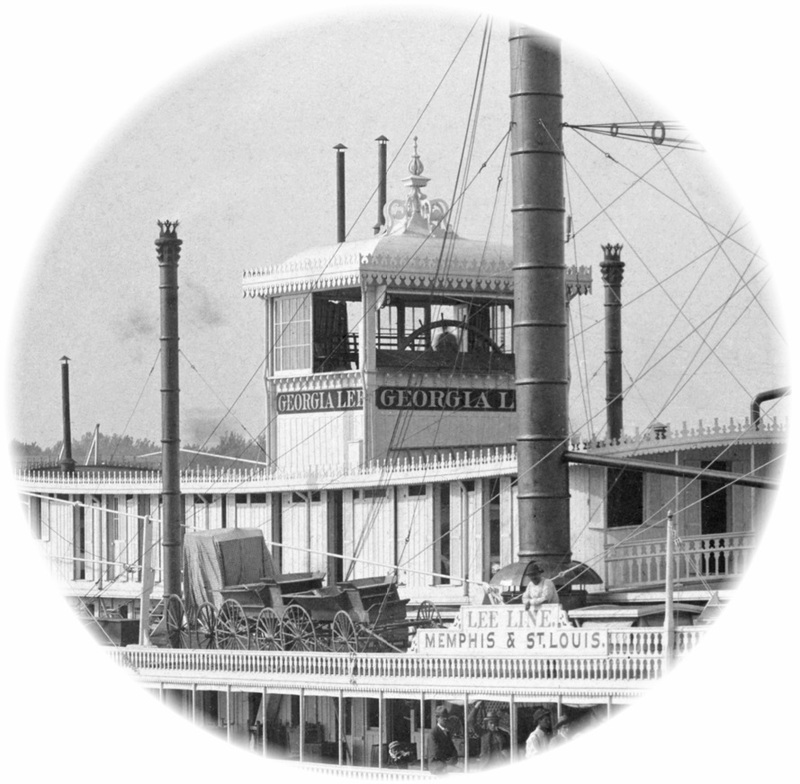 The FIFTEEN was built on the hull of the GENERAL MILES. FIFTEEN was still documented in 1897 but as to her final outcome no account has been uncovered. Owned by Captain Job Thayer for Charleston-Cincinnati trade. In October 1864 Captain Fred A. Laidley took charge, his first command, she made a trip to Nashville for the U.S. Engineering Department under his command, Laidley sold his interest in 1867. Captain J.D. Hegler took command, with W.G. Norvell, clerk, and continued her in the trade. 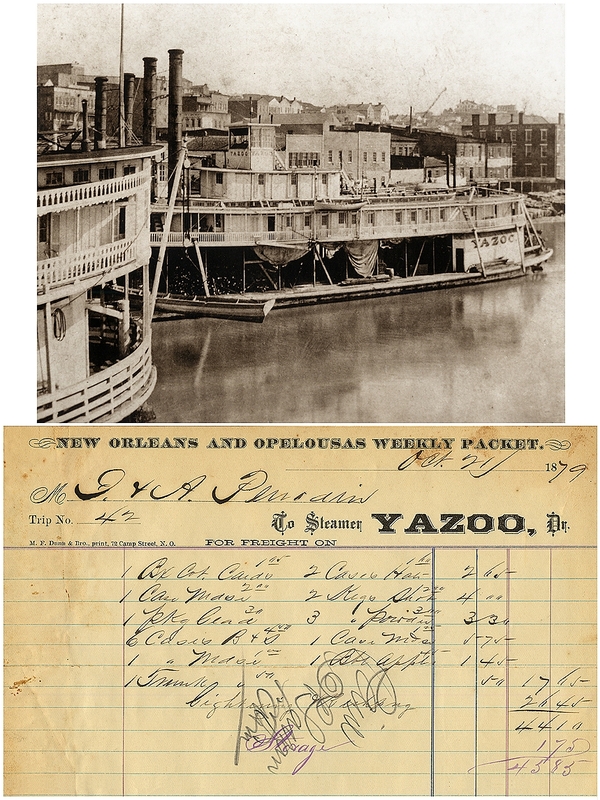 She sank in the Kanawha River in June 1869, was raised, and was taken to Malden, West Virginia; while stockholders pondered whether to make needed repairs. Not much was heard about her afterwards. RPPC from Dave Thomson collection. Love that name "Quick Step." Terpsichore! With all my superfluosa you could do "spin offs" of your site like the Law and Order producer did with his many series. "An embarrassment of riches." is the operative term here. A splendid boat with a grand pilot house. and towed south by the new J.M. WHITE. Ran her trials at New Orleans that October. Designed for the New Orleans-Bayou Sara trade. She carried U.S. Mail under contract until January 1880. Her roof bell came from the BRILLIANT that was built in 1850. Burned at First Street in New Orleans then laid up July 30, 1888. 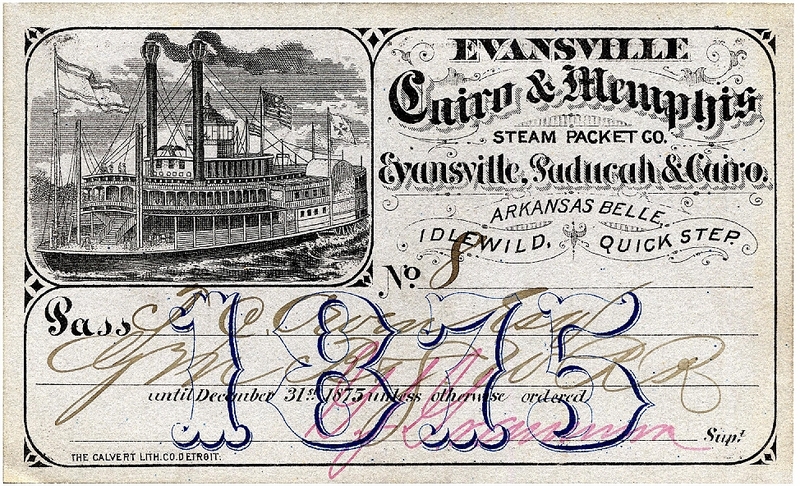 She was loaded up at Cincinnati, September 1877 and headed downriver to Vicksburg, Mississippi, to serve in the Patriot Line. She was inspected regularly through 1882 but no specifics are available any later than that. Photo La Crosse Steamboat Collection Photographs. I combined it with a detail from my real photo post card of the boat taken on the canal at Lowell, Ohio. 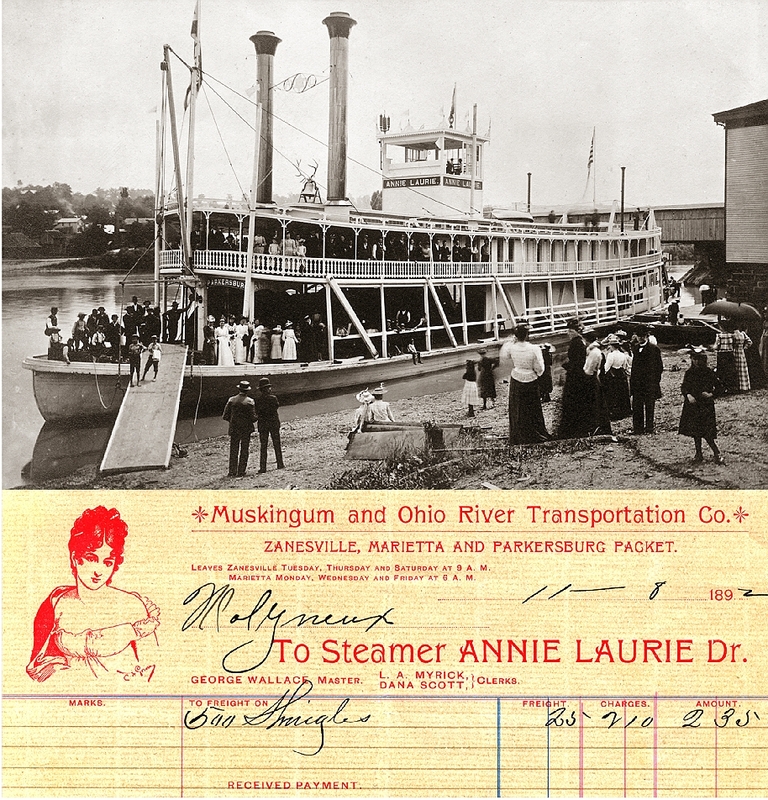 The LORENA operated on both the Ohio & Muskingum rivers and replaced the HIGHLAND MARY in thePittsburgh-Zanesville trade at the beginning of her career. The name LORENA came from the title and love interest in a sentimental song popular in the latter half of the 19th Century. 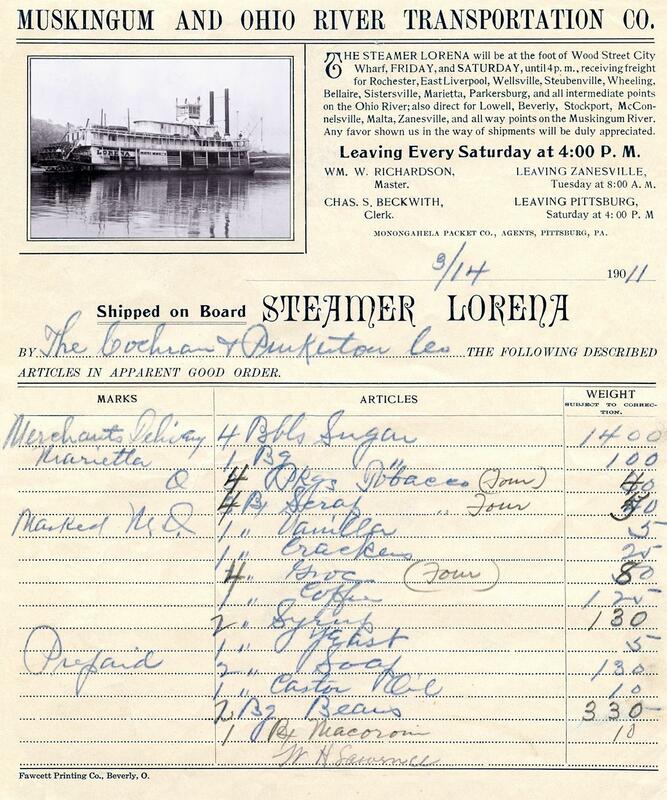 The LORENA was the first boat through the Taylorsville Lock on the Muskingum River in April 1896. 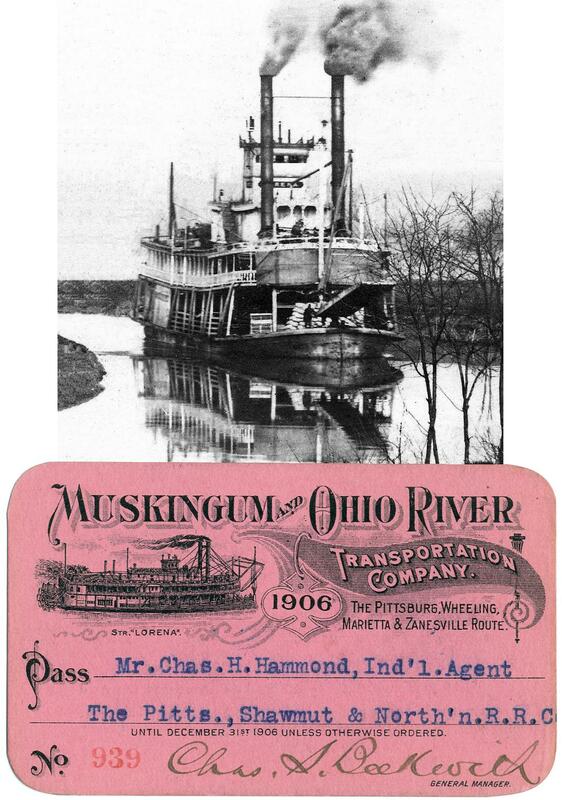 Her trips on the Muskingum ended with the flood of March 1913. After that she ran Pittsburgh-Parkersburg and, in 1915, she briefly ran Pittsburgh-Cincinnati. In mid-1915, she damaged her hull at Possum Bar near Clarington, Ohio and was laid up at Pittsburgh. In early spring 1916 Captain Hornbrook took the LORENA to Point Pleasant, West Virginia for repairs and it was there that she burned on February 2nd of that year. The lyrics to the song LORENA were written in 1856 by Rev. Henry D. L. Webster, after a broken engagement. He wrote a long poem about his fiancée but changed her name to "Lorena," an adaptation of "Lenore" from Edgar Allan Poe's poem "The Raven." Henry Webster's friend Joseph Philbrick Webster wrote the music, and the song was first published in Chicago in 1857. It became a favorite of soldiers of both sides during the American Civil War. The snow is on the ground again. The frost gleams where the flow'rs have been. 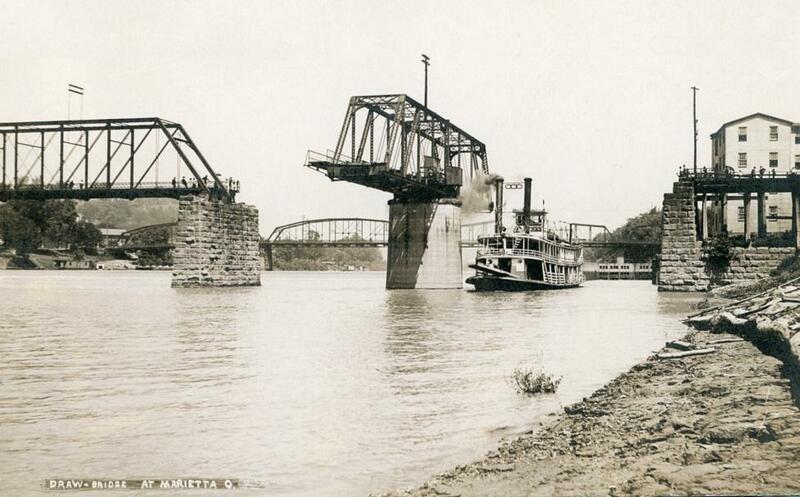 Real photo postcard of the LORENA passing through the swing span bridge at Marietta, Ohio. 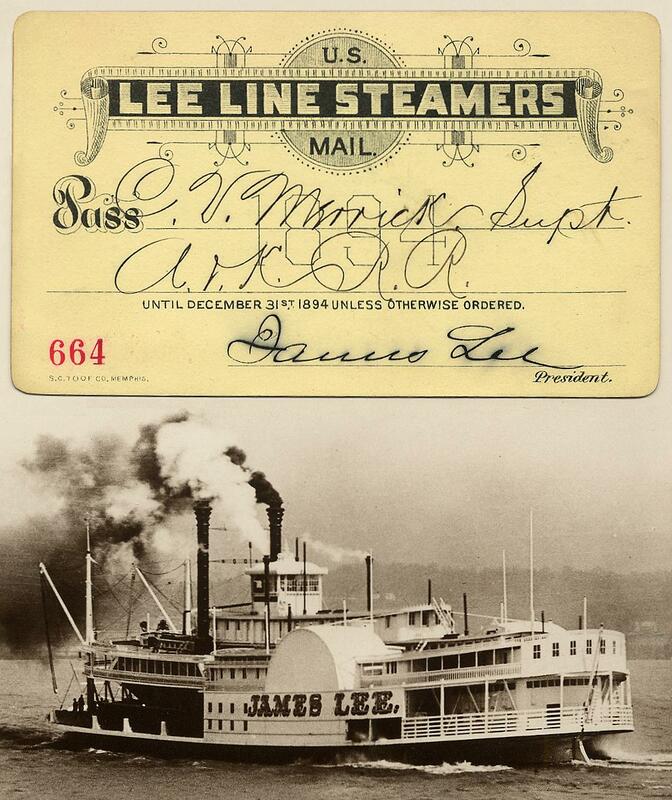 Photo of the JAMES LEE courtesy of La Crosse Steamboat Photo Collection Steamboat Collection Photographs Stateroom key is part of the Dave Thomson collection, scanned for this exhibit. 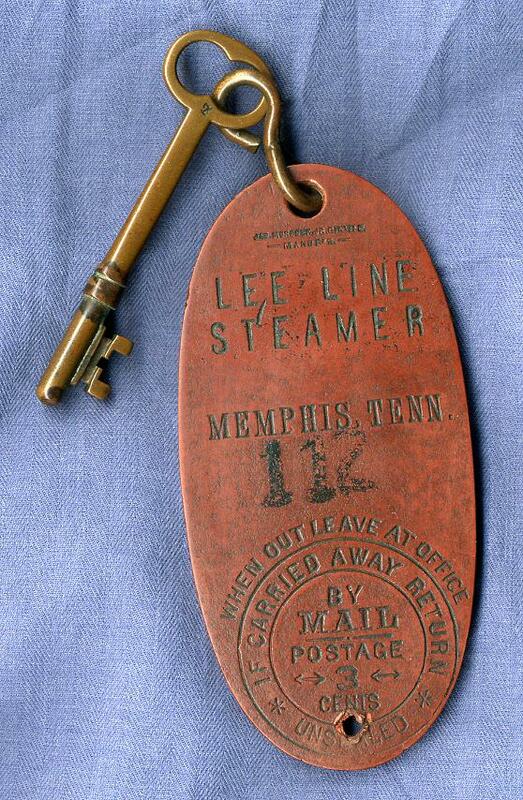 Original price $27,000; built for the Lee Line and ran Memphis-Friar's Point, under Captain John J. Darragh. 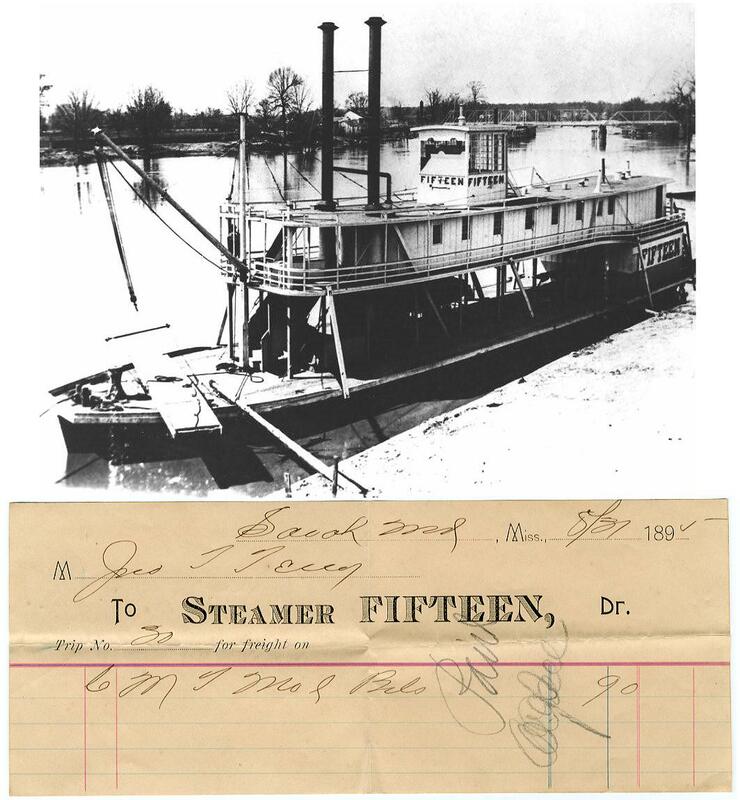 October 24, 1910, she went aground at head of Josie Harry Chute, Mississippi River, owing to rapidly falling river; damage estimated at $10,000. 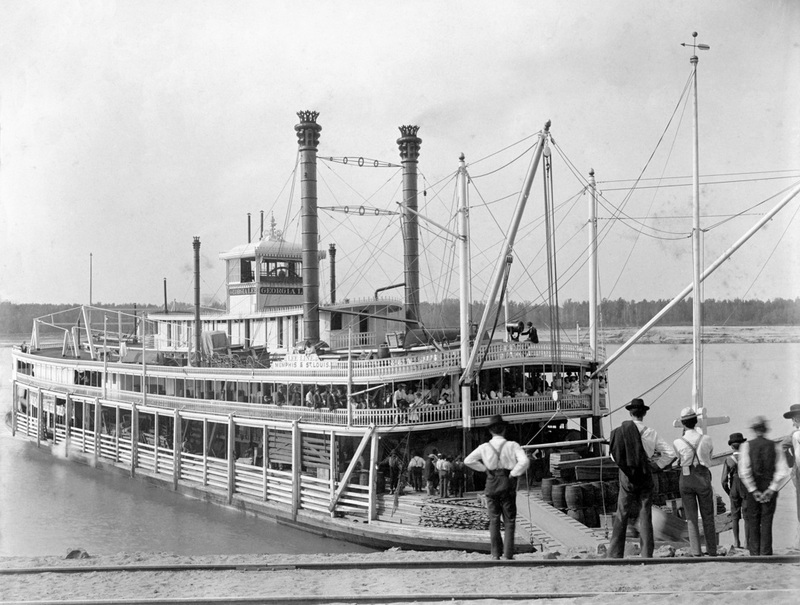 A handsome boat, consistently successful, she was converted into an excursion boat at Memphis in 1917 and renamed DeSOTO. 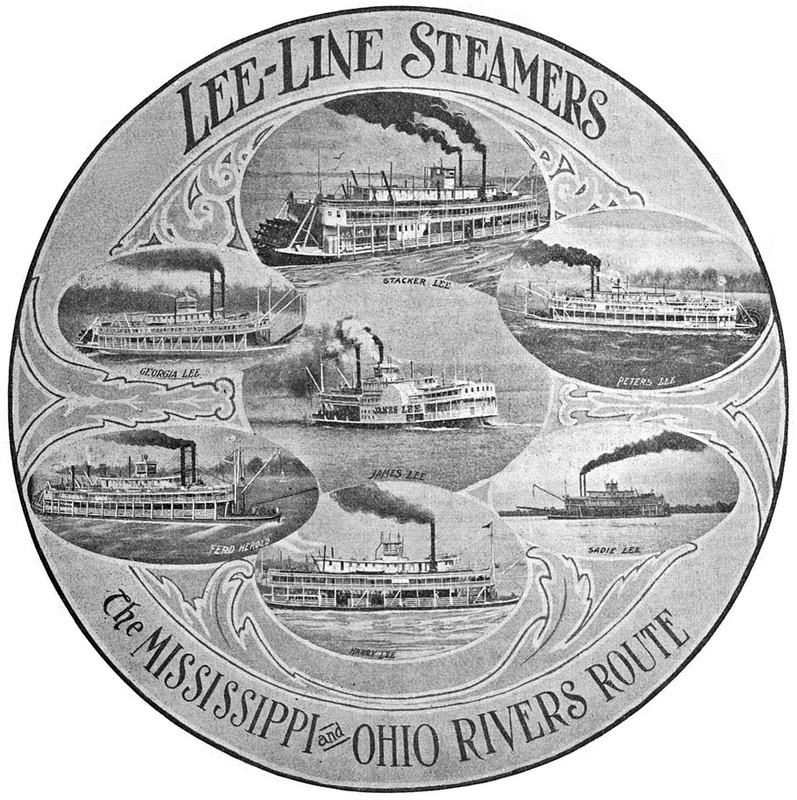 Promotional ad for Lee Line Steamers featuring 7 of their boats inside a circular graphic in the Waterways Journal on 23 October 1909. From a dealer in Tennessee . 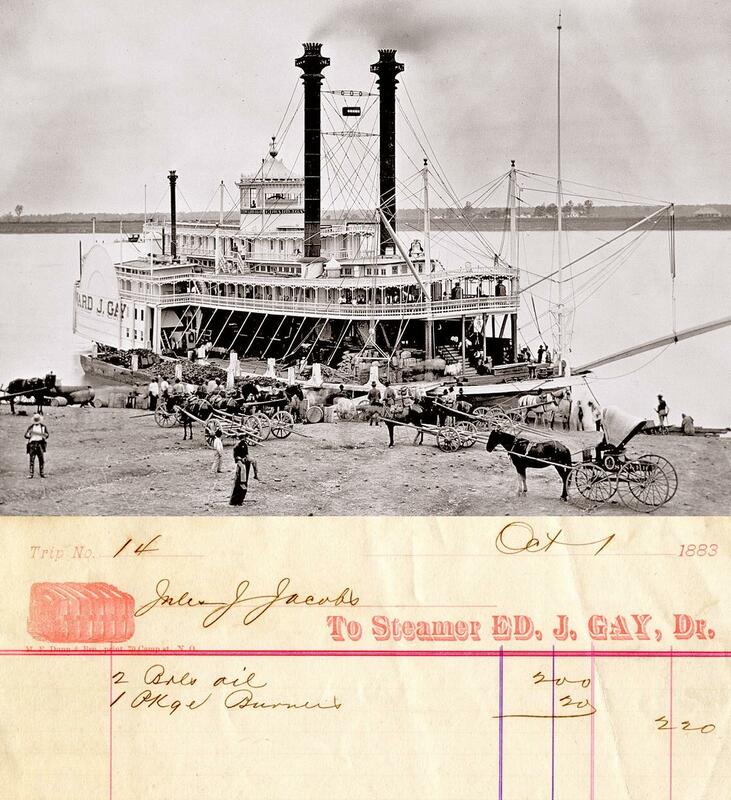 . . an original studio 8 x 10 print mounted on 12 x 14 card stock of the Lee Line steamboat GEORGIA LEE with the photographer's stamp "E.C. Woody - Cape Girardeau, Missouri." Named for Captain James Lee's daughter.